Emerson Climate Technologies offers a complete range of normally closed valves and normally open valves that cover any application ranging from 1/2 ton to 100 tons. 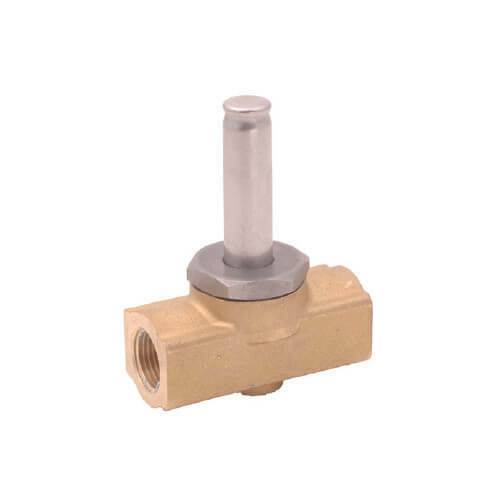 Emerson offers direct-acting and pilot-operated valves. For the pilot-operated valves, there are diaphragm valves and piston-operated valves. Emerson's solenoid valves have the lowest external leakage rates in the industry, are less susceptible to scoring, don't hold residual magnetism, and provide trouble-free operation due to their fail-safe design. Emerson coils for solenoid valves feature compact designs, interchangeable housings, and easy-to-use innovative coil clips which snap into place without requiring screws or tools. The insulated coil windings provide shock and vibration protection and ASC2 weather protection.